Tall Pines is a covenant controlled community in Monument, Colorado that is named for the majestic Ponderosa trees in this area. Lots sizes range from 2.5 to 7 acre lots. Tall Pines Ranch is conveniently located 40 miles south of Denver, a few minutes north of the United States Air Force Academy and only 20 minutes from Colorado Springs. This area is known for it's beautiful scenery and active outdoors lifestyle. The Santa Fe Trail, a beautiful hiking and biking path, runs through Monument. The Pikes Peak National Forest borders Monument, giving residents outstanding views and plenty of opportunities for outdoor activities such as hiking, biking, horseback riding, camping, boating and fishing. 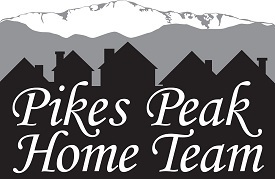 For more information about living in Tall Pines Ranch visit the Tall Pines Ranch HOA.